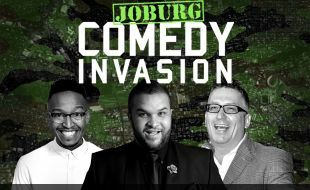 You are in for a night of non-stop laughter and entertainment as these comedic geniuses take the stage at Golden Horse! Mojak Lehoko has been entertaining audiences with his authentic and spontaneous performances since 2009. He has had an incredible career, travelling to the country’s comedy clubs to entertain diverse audiences. Mojak is not only a man for the stage, he has also written for shows such as “Late Nite News with Loyiso Gola”. Comedy veteran Darren Maule is a masterful storyteller, who has been hosting “The Breakfast Stack” on East Coast Radio since 2011. His wonderful imitations and impersonations keep the audience captivated across the airwaves in KwaZulu-Natal. His stand-up is equally entertaining and he has established himself as a top South African comedian. With a commanding stage presence, ridiculous amounts of energy and a character-based set focused on making audiences laugh at life’s uncomfortable truths, Jason Goliath is a joy to watch. This larger-than-life comedian will have you in fits of laughter! Be sure to catch this entertaining show!